Hearing damage is permanent but completely avoidable—if you have the right hearing protection, that is. Whether you’re going to a rock concert, working at a construction site, or dealing with your spouse’s snoring, we’ve picked the perfect earplugs for you. You should wear hearing protection for any sound exposure over 80 decibels, especially when the exposure is sustained over time. What’s 80 decibels (dB) or more sound like? As a general rule, if you’re ~3 feet away from someone and you have to raise your voice for them to hear you it’s 80 dB or louder and you should be wearing protection. That’s a great shortcut, but what’s a decibel specifically and why do loud sounds damage our ear in the first place? The short answer is that sound is pressure (which is why people describe and feel really loud deep sounds as “thumping”), decibels are a way of quantifying the amount of that pressure, and a lot of that pressure actually snaps the tiny hairs in your ear canal (causing irreversible damage in the process) that can result in hearing lose or ringing (tinnitus). Whispering is about 30 dB and normal conversation is around 60 dB—and obviously neither will hurt your ears—but sounds from things lawnmowers (90+ dB) and loud concerts (110+ dB) can cause serious damage over time. Even very brief things, if sufficiently loud, (like the 130+ dB crack of a rifle shot) can cause instant and permanent damage. Anytime you’re exposed to any of these things, you need proper hearing protection. So what makes for good protection? First and foremost it should have a Noise Reduction Rating (NRR), a number that describes how many decibels the hearing protection lowers a loud noise when worn properly. If a pair of earplugs has an NRR of 30, then wearing the earplugs while mowing the lawn can reduce the sound of the lawnmower engine from 90 dB to the level of casual conversation (60 dB). If you wore the same earplugs in a coffee shop, the background noise would be reduced to a whisper-like level. In addition to the raw noise reduction, we also assessed out top picks based on factors like comfort, reusability, and the environment in which you’d use them (what makes for a great pair of earplugs while sleeping, makes for a less than great pair of earplugs for a concert). 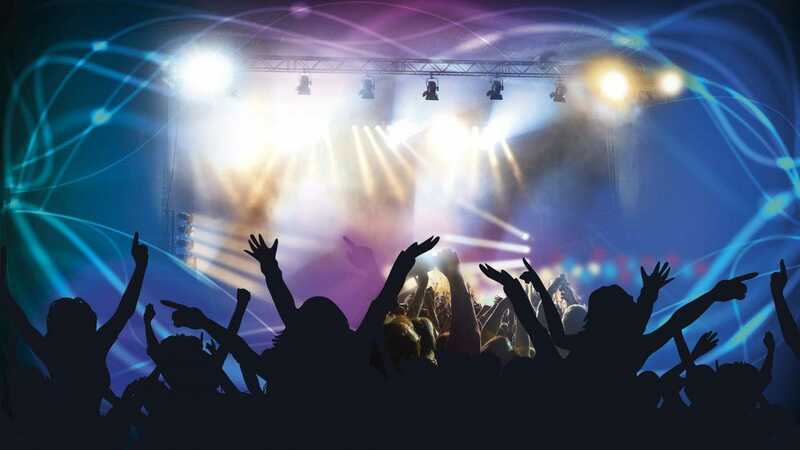 Concerts can get extremely loud and are notorious for causing hearing loss. Many avid concert goers, stage hands, and the rock stars that have been exposed to extreme noise for years report hearing loss and tinnitus—which is a particular shame when you consider how important good clear hearing is to people who love music that much. Any old ear plugs would solve their problem, it’s true, but the problem with most earplugs is that they don’t reduce sound cleanly across the board (like turning the volume knob down on a stereo) but change the way you hear the music and muddy the sound. Etymotic earplugs, however, are not only low cost and ready-fit, but they’re specifically designed with an internal chamber reduces the sound pressure without muddying the sound. Your ears stay safe but the music sounds clear and crisp—in fact, musicians reported being able to hear their own music, including individual instruments, better while wearing the plugs. Officially, they have a NRR of 12 when lab tested, but because of the variation across the frequency spectrum inherent with their sound-preserving design, Etymology says they actually block around 20 dB of sound in real world use—you can read the fine print on that statement here. Etymotic Fidelity Earplugs come in two sizes and include a neck cord and case which is perfect for not only avoiding losing them during the event but having them attached to your key chain or purse in the first place so you have them handy. They’re also discrete in appearance, which is appealing to those on stage on off as well. — Buy it now. Airplanes are a perfect place for ear plugs thanks to the engine noise and the inevitably screaming baby, but if you’re thinking about how often your ears pop you might be a bit nervous about plugging your ears up. Thankfully EarPlanes are comfortable, noise reducing (NRR 20), and pressure regulating, which helps with discomfort due to altitude changes. 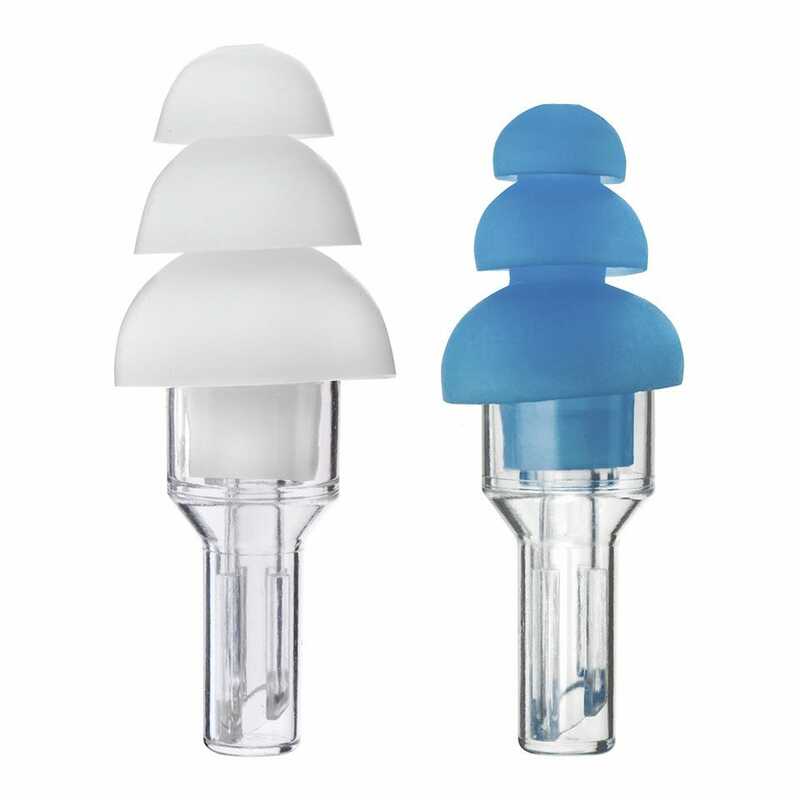 The four air-tight rings around the earplugs create a seal between the plug and the ear, while the ceramic pressure regulator inside of each earplug acts as a pressure regulator. When there’s a difference in pressure on either side of the plug, the regulator causes airflow at an appropriate speed with no discomfort in the ear of the wearer. An added perk is that EarPlanes can be used off of planes if you have sinus congestion and want relief from noise without stuffy ears. EarPlanes are hypoallergenic and latex free, and stay in the ear easily because of the soft and flexible exterior. They come in a pack of three, and each pair is usable for 1 round trip (or 2 general uses) — Buy it now. Snoring, as anyone who suffers through a snoring spouse can attest, is very loud, makes for a miserable night’s sleep, and—as champion snorers can snore at 90+ decibels—can even damage your hearing. Whether the nighttime disruption in your life is a freight train that rumbles by your bedroom window every night (or just a bed mate that sounds like one), we’ve got some super sound blocking and super comfy earplugs to save your sleep. The Howard Leight Max-1 earplugs aren’t just for the light sleeper; they’re heavy duty earplugs with an NNR of 33 (he highest NNR you’ll find on in-ear hearing protection). These earplugs are the most popular polyurethane foam earplugs in the world, and not just because of the high NNR. They’re bell-shaped, so they’re not only comfortable; they stay in place, too. Max-1’s are easy to insert, and the smooth finish prevents wax and dirt buildup. They’re also reusable, so even if your neighbor practices with his band every night, you’ll still sleep like a baby. The only downside we ran into is that you might very well sleep through your alarm — Buy it now. Lawn mowers, leaf and snow blowers, saws, drills, and vacuums can all produce sound that’s anywhere from 80 to 110 dB so whether you’re in your garage workshop or on a professional job site, hearing protecting isn’t optional. While you could get by with a pair of cheap foam earplugs like the aforementioned Max-1s, the EP3 Sonic Defenders offer more functionality for consistent job site use. Not only do the retention rings lock around the ear to prevent them from falling out, but they’re soft and hypoallergenic, provide a NRR of 24, and can easily be worn with a helmet, mask, or safety goggles (unlike earmuff style hearing protection). 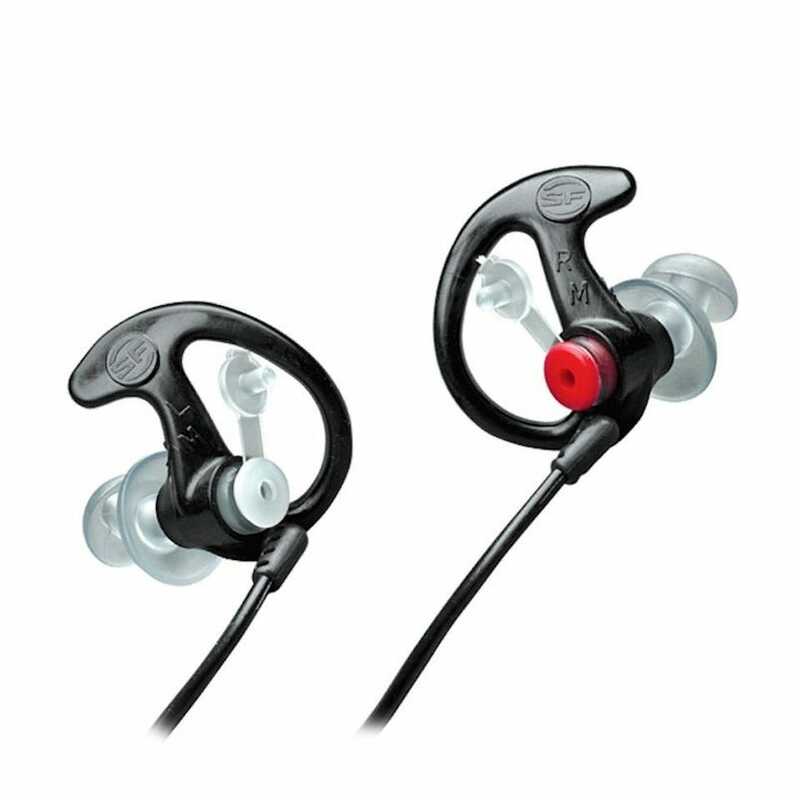 These earplugs also feature a novel port and filter design which allows the wearer to not only plug in audio devices (like compatible radio systems) but the port can be opened to allow for clearer conversation while filtering out loud noises (much like the previously highlighted Etymotic plugs). The EP3 Sonic Defenders even come with a 26 inch lanyard, which makes them hard to lose and you can get them in a variety of colors including blaze orange—for high visibility in environments where hearing protection is mandated — Buy it now. Getting water trapped in your ears isn’t just an annoyance, it can lead to serious medical complications. Swimmer’s Ear, or otitis externa, is inflammation in the outer ear typically caused by bacteria or fungi flourishing in water trapped in the ear. Inflammation in the ear can not only cause major discomfort, but hearing loss as well. For those prone to getting water trapped in their ears, protecting the eardrum from water intrusion is just as important as protection from sound. 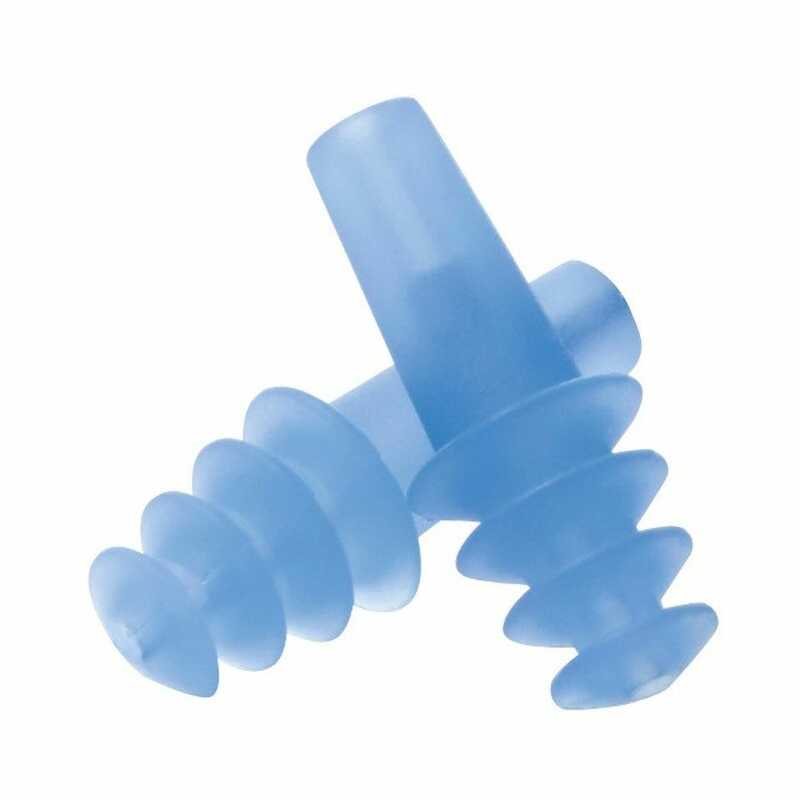 While there are water-repelling ear drops you can use before and after swimming, Insta-Putty Silicone Ear Plugs are a better option because they’re cheaper over time (on account of their reusability, each pair should last 2-4 swim sessions or more) and they protect the ear better by sealing it off. Unlike the earplugs that are unflattering neons and waxy white colors, the Insta-Putty plugs are tinted to blend completely into lighter skin tones (and still stand out less against darker skin) for a more discrete look. 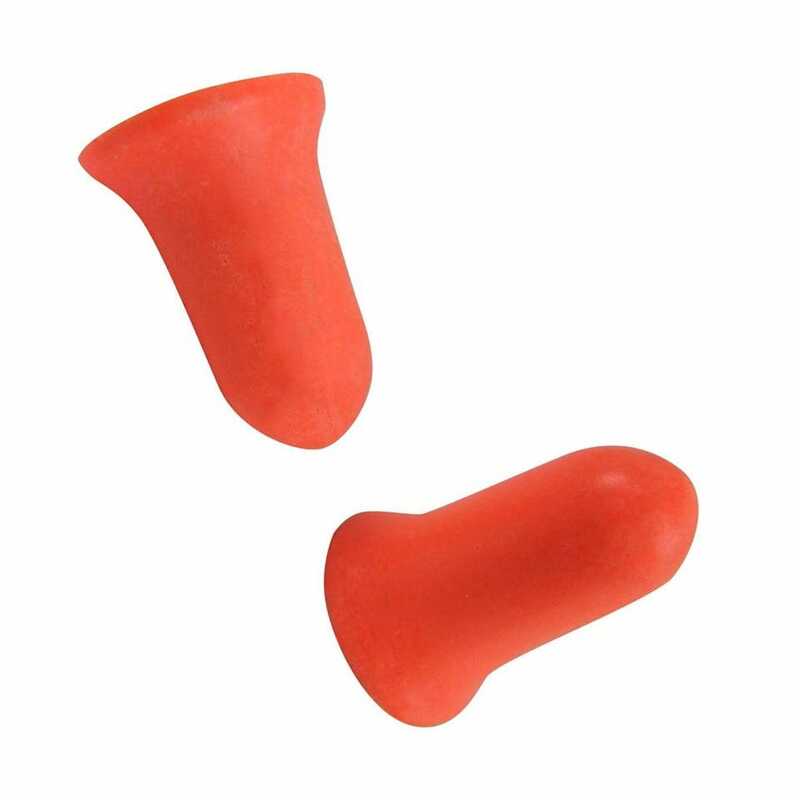 Finally, these earplugs reduce loud and annoying sounds (with a NRR of 22), so if you just want to swim your laps in peace without listening to the shrieking kids taking their swim test, these plugs will not only keep your ears dry, but dampen sound too — Buy it now.